There are several different types of carpenter squares, each of which are practical for their own set of uses. 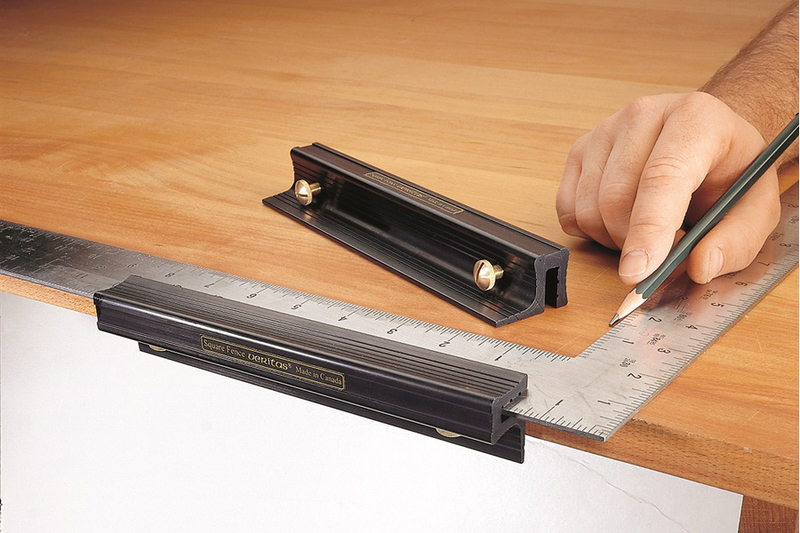 The original Swanson speed carpenter square is what many people think of when they picture a carpenter square and are particularly useful for roofing carpentry work. They work well in conjunction with a circular saw to cut a piece of wood perfectly square, and in that sense they also can double as tri squares. More often than not, carpenter squares are used to lay out and cut roof rafters and to make sure that right angle cuts are precisely squared. Additionally, carpenter squares are among the only tools in a toolbox with a straight edge (3 of them) and right triangular shape. Machinist squares are basically just a try square used by metalworkers. They feature a simple design that consists of a long steel arm that is affixed to a heavier steel body at a 90-degree angle. To use a machinist square, you place the body of the square along the side or edge of an object and you lay the edge of the arm along that same side. You can then shine a light behind the square and if there is any present, the object is not square. 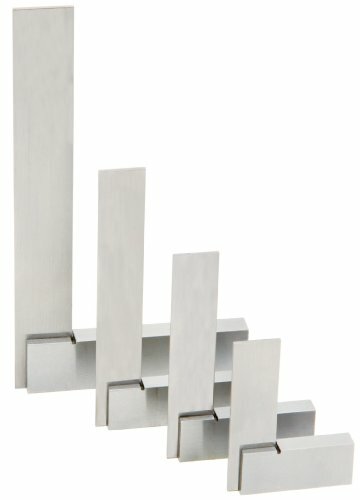 This 4-piece set of machinist squares from Woodstock includes four squares of varying sizes, all of which share a common beam width and thickness, allowing them to be used together on the same project. The sizes are 2, 3, 4, and 6-inches, and you can tell just by looking at them that the metal was milled correctly. Test them a little further and you’ll see that they come square and true and will stay that way use after use. This heavy-duty quick square from Stanley has a multipurpose design that allows it to function as a saw guide, bevel, and protractor thanks to its fully adjustable and locking arm. The body is finished in black with bright yellow graduations that offer maximum readability in all light conditions of nearly any working environment. 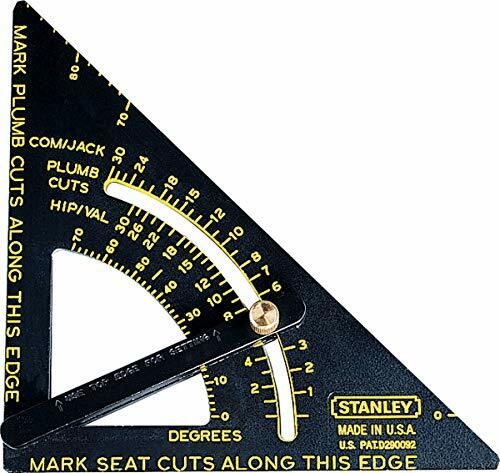 The graduations feature common, jack and hip, and valley scales to meet the measuring requirements of a variety of project types measured in inches. The base of the square measures 10.75-inches and the beam measures 6.75-inches and the entire unit weighs less than 9-ounces. With traditional squares you have to re-measure with each cut, but the Stanley Premium Adjustable Quick Square Layout Tool makes projects quicker and easier than ever. Unlike flimsy die-cast squares, the heavy duty Empire Magnum Rafter Square, weighing in at a full pound, won’t bend or break, making it the ideal square to safely use as a saw guide. There are wood, plastic, and other metal speed squares out there that will do the job they’re supposed to do, just without nearly the same accuracy or toughness. 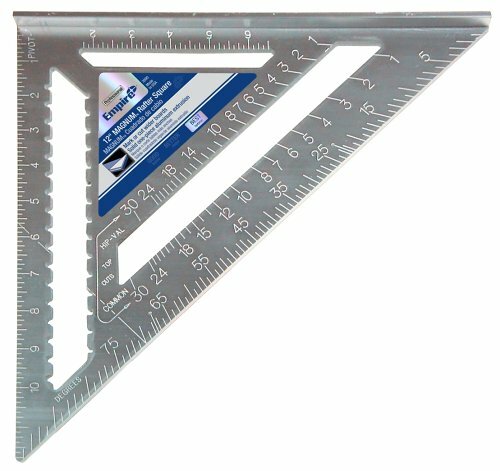 The Magnum Rafter Square is very easy to work with any easy to read, ensuring that you record the right measurements and make the correct cuts every time. The large, hardened steel square allows you to mark and cut boards up to 12-inches wide with stunning precision, and the graduated notched area gives a workspace for pulling layout lines.